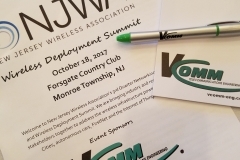 Monroe Township, NJ (October 18, 2017) – The New Jersey Wireless Association (NJWA) hosted its third-quarter networking event, the Wireless Deployment Summit, on Wednesday, October 19 with Federal Communications Commission (FCC) Commissioner Michael O’Rielly as the keynote speaker. Guests filled the ballroom at Forsgate Country Club for the event, which lasted from 12:30 p.m. – 7:30 p.m.
Commissioner O’Rielly presented topics including the wireless industry’s continual development, evolution and increasing demands for 5G and beyond, the effect of 9-1-1 fee diversion state- and nation-wide, the significance of implementing a unified wireless emergency number and more. AT&T Inc. Senior President of the North East Region Marissa Shorenstein followed Commissioner O’Rielly as the second keynote, discussing AT&T’s past, present and future initiatives, FirstNet and the potential positive impact associated with developing and implementing smarter homes, cities and autonomous cars worldwide. After a short break, Monmouth County Sheriff Shaun Golden, an advocate for policy change on 9-1-1 fee diversion, re-opened Commissioner O’Rielly’s discussion and explained how the diversion is personally affecting his county’s public safety programs and policies from severe lack of funding. Former Vermont Governor Jim Douglas presented an update on FirstNet, followed by Victor DaSilva of Nokia Bell Labs, who presented an in-depth report on 5G technology. 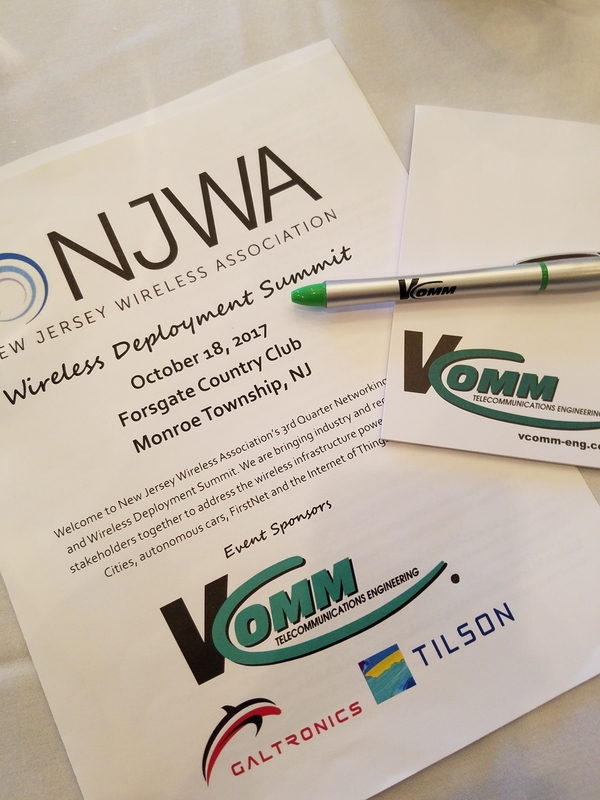 The day concluded with a panel on broadband networking in New Jersey, moderated by Wireless Infrastructure Association (WIA) President and CEO Jonathan Adelstein. Panelists included New Jersey 16th District Assemblyman Andrew Zwicker (D), New Jersey Board of Public Utilities (NJBPU) Executive Director Paul Flanagan, Crown Castle Vice President of Legal Monica Gambino and Phillips Lytle Partner Doug Dimitroff. The panel explored the legislation needed to streamline the deployment of wireless broadband. NJWA is the first wireless association in the country to have a current FCC Commissioner as the keynote speaker at an association-hosted event.